Jura coffee machines are beautiful. They are sleek. And, they are shiny. But, can they hold up to the competition? In this review we take a closer look at the Jura 15068 IMPRESSA C65 Automatic Coffee Machine. The Swiss coffee machine looks promising in many areas, and the features are appealing. Unfortunately, nothing is perfect. And, that goes for this machine as well. Coffee aficionados may need to make some compromises. The C65 takes the basic espresso machine controls and simplifies them. They turned the rotary switch into a smart, one touch operating concept. The machine also features 11 different languages on the plain text display. Next, the coffee spout adjusts to fit different cup sizes. At its lowest point, the spout is at 2.6 inches. But, it raises to 4.4 inches. Additionally, many coffee machines have a frother attachment. But, few have one like the Jura C65. This frother produces fine foam with a light and feather-like consistency. And, the coffee strength is changeable for each cup of coffee. For those who have company over, this may be a convenient feature because it can cater to individual tastes. The Jura IMPRESSA C65 also has a hot water function. This is convenient for diluting espresso to make regular coffee or making other hot beverages that don’t require coffee. This also adds to the space-saving functionality and eliminates the need for a separate hot water pot. In addition, the Thermoblock feature shortens the warm-up time for the machine. Heating water on the fly only engages the machine per cup. So, there is no need to wait until the entire pot of water is hot. Next, this Jura model features a 15 bar pump. The high pressure pump works in conjunction with the Thermoblock system to create the conditions for brewing superior espresso shots. Industry standards may be lower than 15 bars of pressure. However, with the right variables, it may help you make a better espresso. The other variables may include: personal skill, beans, grind size, and machine quality. Lastly, this model is one of Jura’s compact models. The product dimensions are 16.1 x 11 x 13.6 inches. And, it is great for tight counter spaces. There are a few impressive features available on this unit. However, taking a closer look at this machine from a consumer standpoint may change some minds. Here is a Jura espresso machine review of 4 main considerations. One of the most talked-about features of the C65 is the simplistic operation. But, is it really that easy? Unfortunately, there is a learning curve to using this machine. However, this machine may be easier to operate than other machines. Especially since functions such as the rotary switch are streamlined to a one touch system. But, beginners may still find it challenging to use at first. In fact, over simplifying it may have led to a more complicated machine. It’s not intuitive. And, not easy to use right out of the box. So, veteran users may be a little more used to the controls they are look at. But, new home and office baristas may need to keep the manual close at hand. At least, when first starting out. However, with a little time and practice, making coffee on this machine gets easier. But, it isn’t necessarily “easy” at first.  One of the most important aspects for investing in an espresso machine is the ability to make quality cups of coffee each time. If that aspect is not up to par, there is very few selling points that can make up the value. The quality of the coffee that Jura C65 produces remains consistent cup after cup. There are some exceptions. But, this may be due to user error most of the times not depending on the machine itself. For example, in some instances the coffee or foam may not be hot enough. Unfortunately, “proper” temperature may depend on the person drinking the coffee. But, the temperatures are factory set for optimum coffee brewing and extraction. Additionally, many forget a key part of making an espresso: warming the cup. If a cup is not warmed up adequately, the drink will cool quickly. So, sometimes temperature may not have to do with the machine itself. Other issues that may occur, such as weak coffee may also be due to user errors. Incorrect bean types, mistaking clean rinse cycle for coffee, and clogged grinders may also cause issues with the way the coffee tastes. However, these types of issue can occur with any type of espresso machine used incorrectly. Finally, producing quality cups of coffee each time takes skill. And, the right coffee beans and grind size. This may be trial and error for some people, especially those who are new to espresso machines. Maintaining the Jura IMPRESSA C65 machine is easy with very little guess work involved. Jura gives step by step instructions on how to dismantle cleanable parts. And, the machines have integrated maintenance programs to make the process easier. The C65 will prompt you to clean, descale, or change the filter when needed. But, you don’t need to rely on just the maintenance programs. You can bypass it and start any of the maintenance programs at any time. Another point about maintenance is that this machine will not prompt you to clean out the milk frother. But, in the interest of proper hygiene cleaning should happen daily when using the milk frother, even if the machine doesn't tell you to do that. Easy to follow instructions are in the manual. Additionally, if a CLEARYL Blue filter cartridge is used, there is no need to descale the machine. Simply program the feature during initial setup. Alternatively add one later through the programs menu. Lastly, filter replacements can get pricey. The machine will show a replace filter prompt after approximately 2,000 oz. of water, or 60 liters. So, how often it needs replacements will strongly depend on how often someone uses the machine. The Jura C65 is a compact and sleek machine. It may fit underneath some kitchen cabinets. However, be sure that it has enough ventilation to prevent overheating. The water tank and bean hopper are relatively small. This lends itself to the compact design. But, some people may find this a drawback because of the constant need to refill both. Additionally, there may be some problems with the beans going through the grinder. If the beans are not grinding properly, there may be a problem with the beans themselves, such as too large or too oily. Using the correct types of beans can prevent problems such as clogging, and residue in the hopper. This may happen with any super automatic espresso machine. So, if you prefer to use oily beans, it’s safer to clean out the machine regularly. This may prevent some of the clogging problems. Unfortunately, the bean hopper problem may not be a user error, but a design one. The grinder is sometimes temperamental. And, it occasionally needs a few swipes with a spoon to get the beans moving again. Next, sometimes the cup size and tray size may not be complementary. Trying different shaped mugs and cups can alleviate the problem. And, another option is to hold the mug with one hand under the spout. Not being able to accommodate all mugs is not necessarily a design flaw but a compromise for the compact size. Also, espresso machines are generally not one size fits all cups. So, experimenting with different cups specifically for the machine may also help. Lastly, the output nozzle is too low to fit standard travel mugs. Unfortunately, many people use these machines to fill their travel mugs up for work. But, since the mugs are too tall it leaves them with two choices: either tilting the mug at an angle or transferring from another cup are both acceptable compromises. People can fill the travel mug and still use the machine. And, it may be worth it for a great coffee drink. 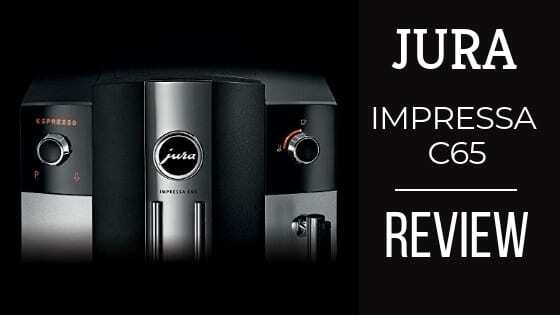 The Impressa C65 by Jura is an impressive coffee machine. But, it is not perfect. Still, it is a sound investment for those who love coffee and are willing to learn how the machine works. The machine itself is relatively well made. The compact nature may be an acceptable compromise for an equally compact output. Many other machines are behemoths on the countertop. Finally, for many coffee drinkers, the taste of the coffee is more important than the convenience of the design. And, that’s fine. Jura offers very attractive designs, but, the proof is in the taste.